Ravi Thakur - Independent Trekking Guide. RECOMMEND Me Now. Ravi should be the most professional guide that I have encountered in the mountains. His care of minute details speaks a lot about his character. The safety of his trekkers is his utmost priority. Of course, the food was great, and good quality gears. I had my first himalayan trek and all things were organised well starting from Pickup-food-guidance-Trekking. Good Arrangements from ravi sir and his team. Had an amazing experience. The scenic beauty was mesmerizing. Definitely I recommend him. As per my experience during my Hampta Pass trek, I felt that He is really a nice guy, always helpful energetic. As well as this Hampta Pass corridor he knows very well. His team mates are similar to him. Quality of Food are excellent. An enthusiastic and sincere guide, his feelings towards conservation of the mountains is in the right place. "I think people should take full care. If we don’t take care then there is no difference between an animal or man." "Keeping the forest clean is in our hands. We have got the intelligence to think about this, by dirtying and polluting the mountains we are harming ourselves and we should have the intelligence not to do so." "The garbage thrown in cities gets cleaned eventually, but the garbage thrown in the mountains may never get cleaned, so we should take special care not to leave polythenes or any other item of ours back on the mountains." Ravi has done his schooling till class 10th from Jagatsukh Government school. He left school because he says he was not good at studies. and wanted to do something different. He got into trekking as he felt he had the skills to get his customers appreciation for this work. 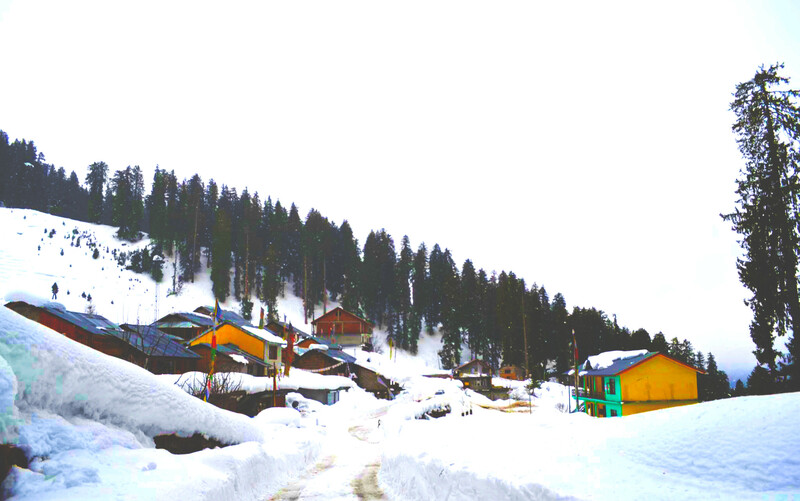 Ravi started off by taking people for tours in Manali and Rohtang, the customer interaction during this work gave him the confidence that he could handle customer on tougher treks. Which got him taking customers on treks. 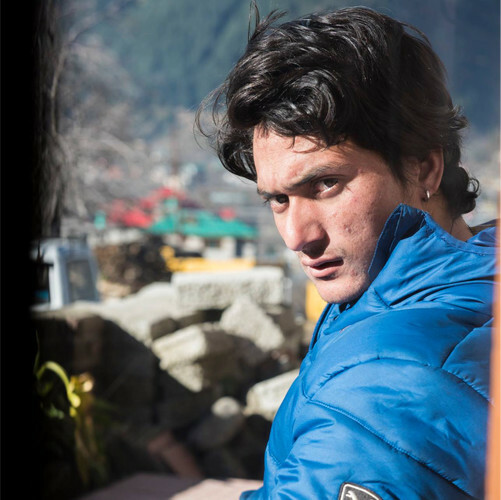 For the first two to three years he worked as a guide for other companies, he has now started his own small company called 'High Altitude Trekkers'. 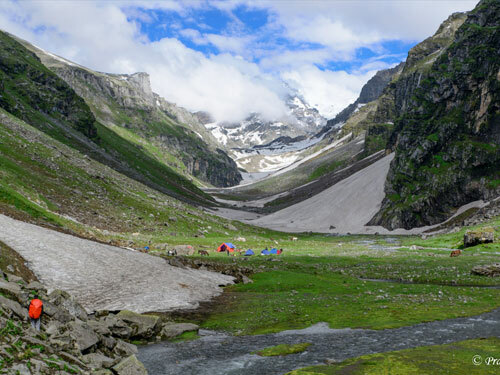 "During a trek my motto is to keep the trekker happy, I want to make those 5 -10 days as memorable and happy for the trekker as possible, so the trekker can forget about his home or other things during that time. I treat trekkers as my family." 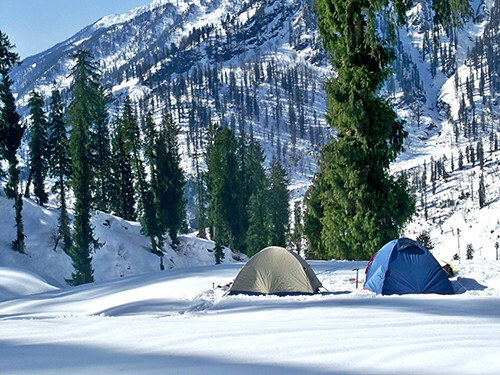 "On the Hampta circle trek a customer can enjoy as there is a lot of greenery and we can also do a campfire during the trek. Also at the starting of the trek season we could find snow as well. Anyone can do this trek from old people to also heavy people. Thats why I like this trek a lot." Ravi enjoys a nice hot meal of Rajmah Chawal, a favorite for many.